New Delhi: India is witnessing interesting times with changes in political, economic and social structures on the horizon. As women play increasingly important roles to take the country forward amidst this shift, FLO is best positioned to play a catalyst’s role in bringing about a positive impact. 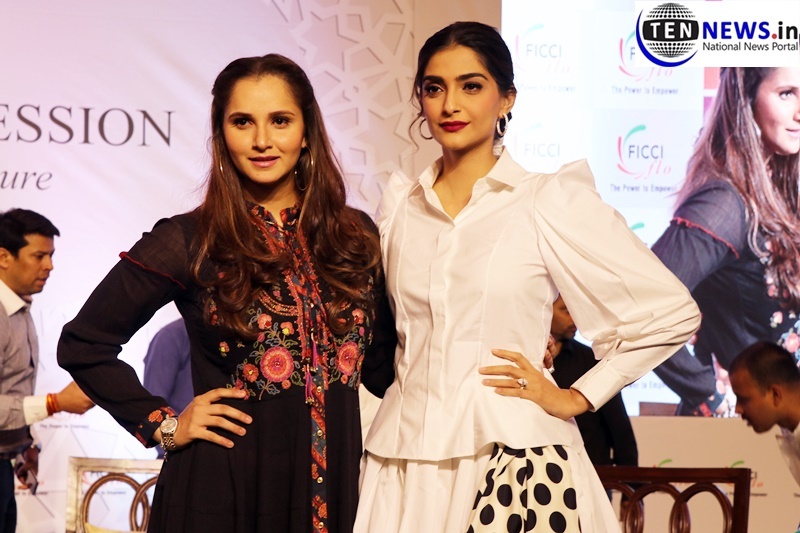 Today, Tennis player Sania Mirza and actress Sonam Kapoor with filmmaker Zoya Akhtar, FICCI Ladies Organisation (FLO) President Pinky Reddy, Parle Agro CEO Schauna Chauhan and lawyer Karuna Nandy attended the 35th Annual Session of FICCI Ladies Organisation (FLO) in New Delhi. Sania, the first Indian woman tennis player to win a Grand Slam title in doubles and mixed doubles, said the likes of Mary Kom, Saina Nehwal and P V Sindhu have done the country proud but there is still “discrimination in sports”. Bollywood star Sonam Kapoor Ahuja also spoke on the occasion while Aditya Birla Group chairman Kumar Mangalam Birla was the chief guest. “It was a perfect platform for sharing best practices and experiences across 16 locations pan India, in a unified effort to play a catalytic role towards women empowerment. It also marks the ushering in a new year and continuing the legacy that FLO has walked upon, in the past 35 years of its existence,” said the outgoing FICCI Ladies Organisation President Pinky Reddy.